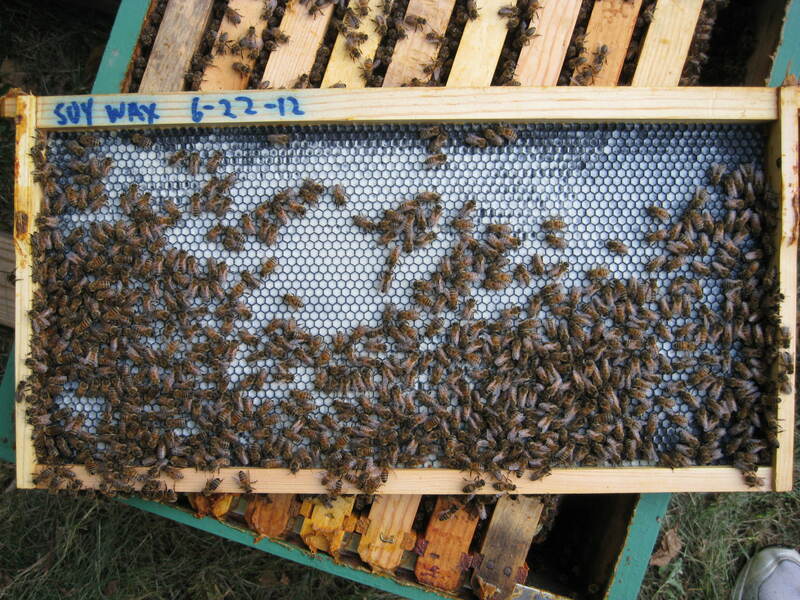 The Beeyard » Can I use soy wax in my hives? Can I use soy wax in my hives? Last month, I wrote about the benefits of adding a thin layer of beeswax to plastic foundation before using it in the hive. The only downside to this technique, of course, is that it requires huge amounts of beeswax. 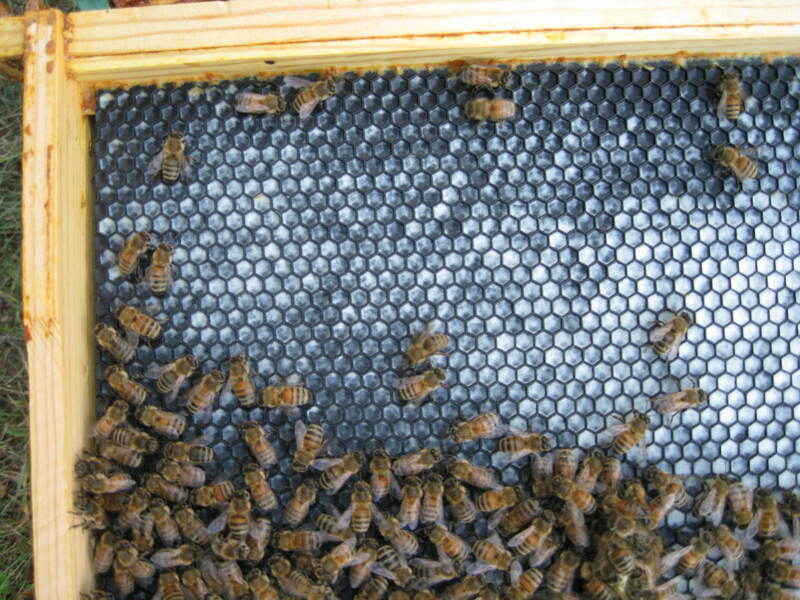 I only have a few dozen colonies and burned through my supplies of beeswax after coating less than 100 frames. I could of course buy beeswax, but I had concerns that I might be introducing disease spores and pesticide residues into my colonies. I also had concerns about my wallet — beeswax is expensive. What about soy wax? 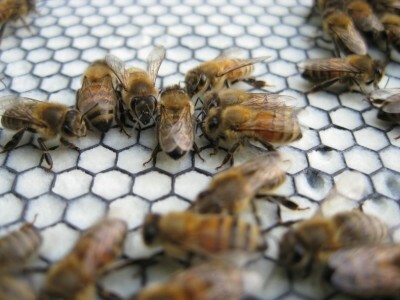 Soy wax is produced by hydrogenation of food-grade soy oil and would be safe to use in the hive. It’s also super-cheap. I decided to give it a try. I purchased five pounds of food-grade soy wax for $8 shipped and applied it (using the same technique described in the earlier article) to a piece of Pierco black foundation in a wooden deep frame. 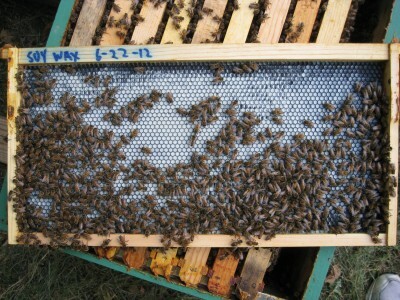 I put this frame at position 10 in the bottom hive body of a healthy colony and waited. 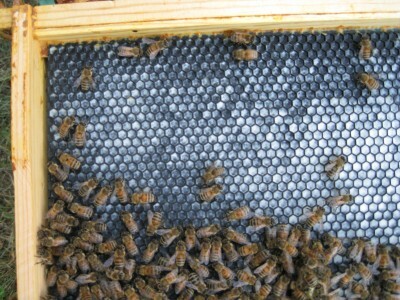 After nearly two months in the colony, the bees have not drawn out any comb whatsoever on the soy wax coated frame. On the reverse side, they appear to have successfully removed a small amount of the soy wax in a few locations. The bees didn’t seem to be bothered by the presence of the soy wax. They simply refused to build on it. There’s no fooling the bees. If anybody has any extra beeswax, let me know!